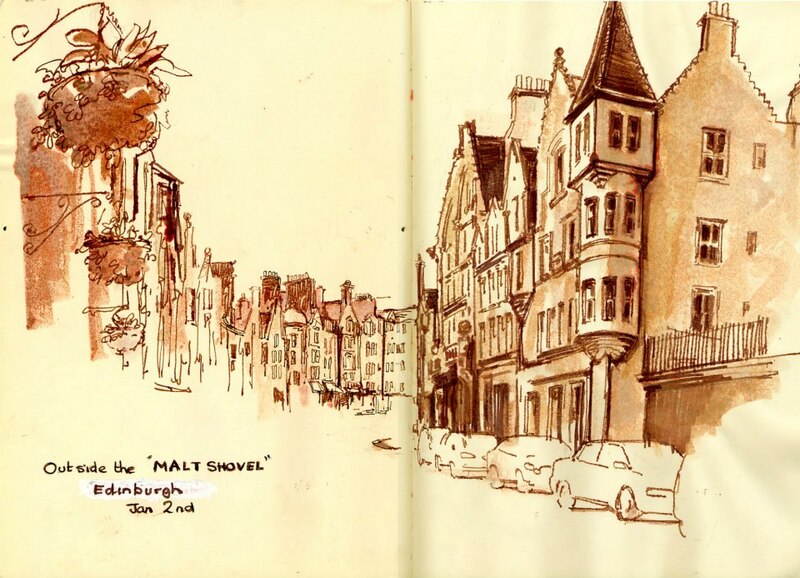 This is a drawing from outside a great old Edinburgh pub called the Malt Shovel. The cold eventually drew me into the bar itself. What can you do?